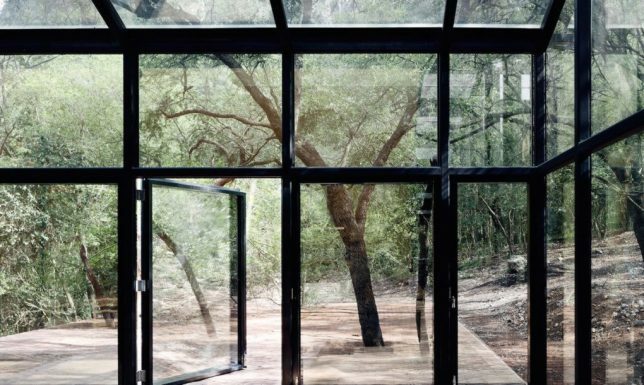 Cozy on the inside and virtually invisible on the outside, this Modernist home has a reflective facade allowing it to blend in with the natural environment. 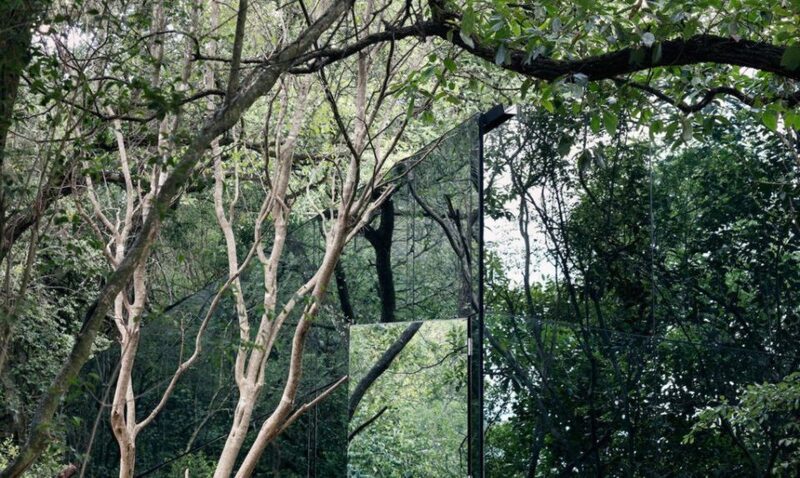 Meanwhile, residents can enjoy views out thanks to the one-way mirrored panels. 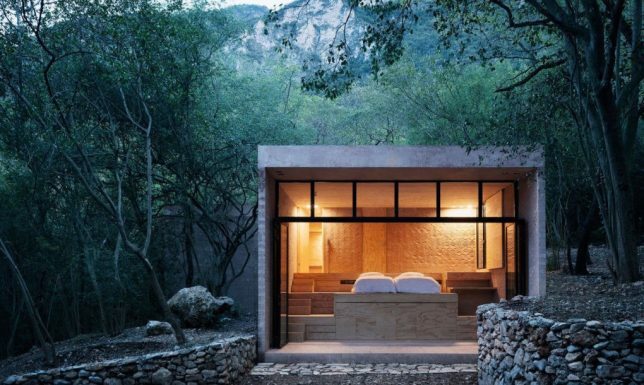 Designed by Mexican architect Tatiana Bilbao (images by Rory Gardiner), the vacation complex in Monterrey has been dubbed Los Terrenos (Spanish for “The Terrains”). 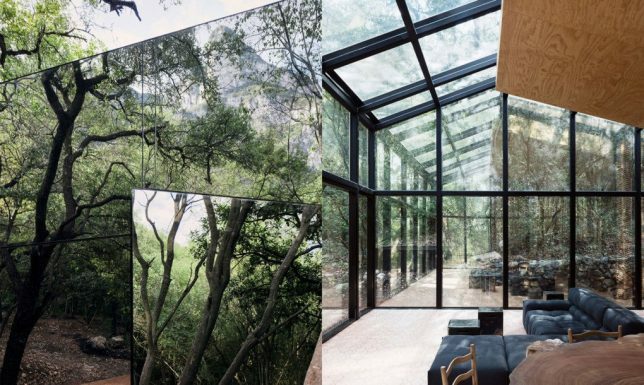 Each of three structures in the set are based primarily on one material: glass, earth or wood. 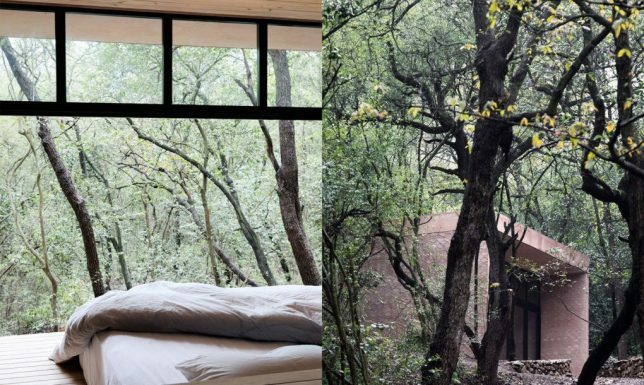 The earthen home has solid walls for privacy, ideally suited for bedrooms. 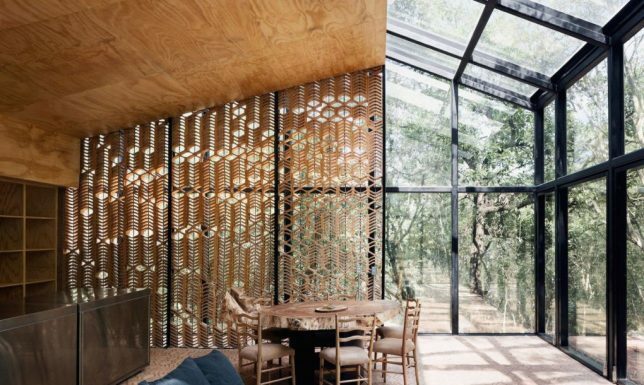 Open-plan living, dining and kitchen spaces are in the more open and naturally lit glass companion building. 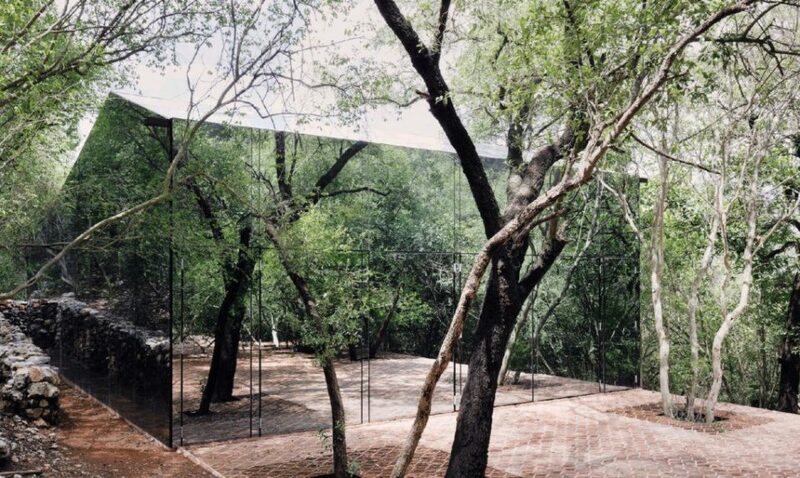 The glass curtain wall of the mirrored structure is hung to minimize interruption on the exterior, creating a nearly seamless reflective effect. 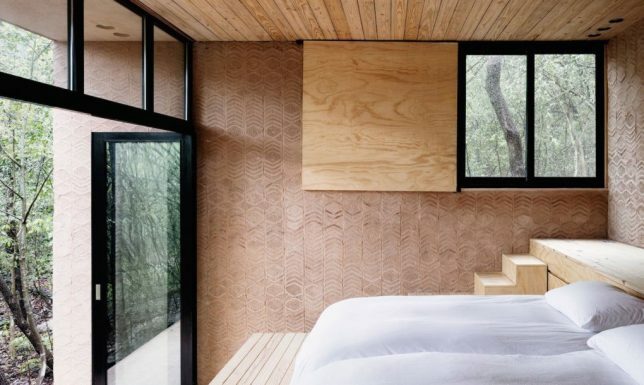 The other soil-based structure is composed of clay brick and rammed earth, creating a grounded contrast with its disappearing partner. The third structure has yet to be built, but will be elevated and wooden, again tying it to the forested surroundings.